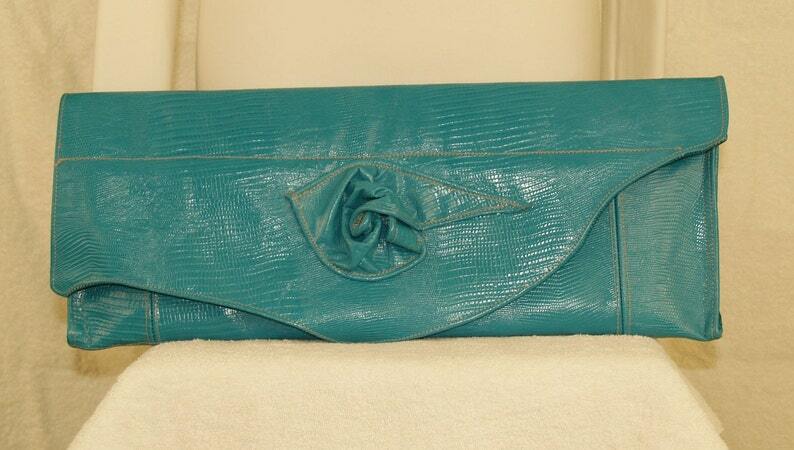 Lovely turquoise leather with a reptile stamped print. Envelope/clutch handbag with a very unique flair. A real fashion statement, for the woman who loves a one of a kind piece. The measures are: length 19-3/4 - height 7-3/4". Also available in this leather (sold separately) two belts and a hobo handbag. Each piece expresses the individuality and style that lies within every woman.